This retractable awning is perfect for decks, patios, pool sides and balconies. This awning is exceptionally strong and durable and suitable for commercial applications. The awning arrives at your home or business preassembled and comes with everything you need for quick and easy installation. The pitch is adjustable up to twenty four degrees. The frame is made from steel and aluminum and treated to resist corrosion. All the hardware is stainless steel. 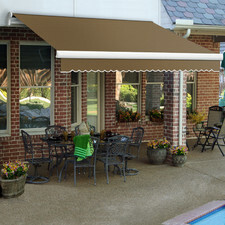 The awning features a one year warranty. Can this awning attach to an RV. As long as you have the adequate space, yes it can. Can the awning be mounted under the soffet? We don't have 10' from ground to soffet. Also, we don't have 8" above the sliding glass doors. I am frustrated. Thank you. 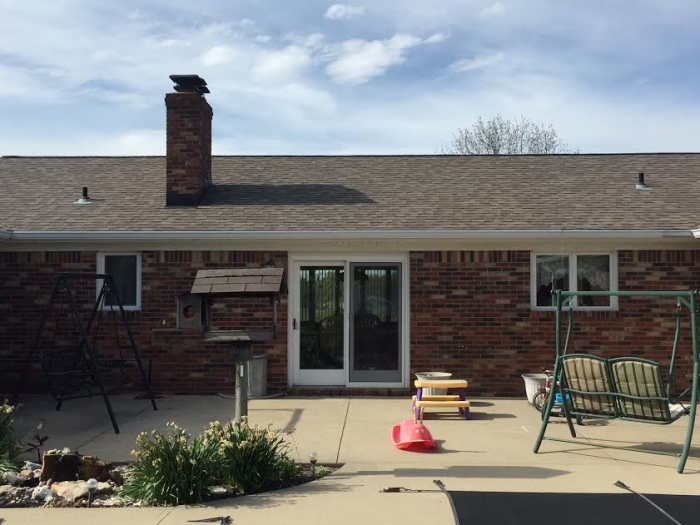 The awnings cannot be mounted to a soffit. They must be mounted to a wall or door frame. The minimum installation area height for this awning is 10.5 inches from the top of the installation area to the bottom. If an awning is 24 ft. long, does the projection of 122 inches mean that it can sit out about 10 feet. What does projection mean? That is correct. The projection is the distance from the wall. Can this be roof mounted? Per the manufacturer, this is to be mounted on the side of the home. How much wind can the 20 foot awning take? Our retractable awnings are not wind rated and we recommend you retract them if high winds are in your area. Do you sell the replacement canopies for these? We do not. I apologize. I suggest contacting Awntech directly. Can you get sides for an awning? We do not offer any sides for our manual or motorized retractable awnings. Can you send me the name of the color showed on the Maui Manual which looks like taupe or brown? According to Awntech that color is taupe. I need 16-18 feet wide; how far out over the patio will it extend? 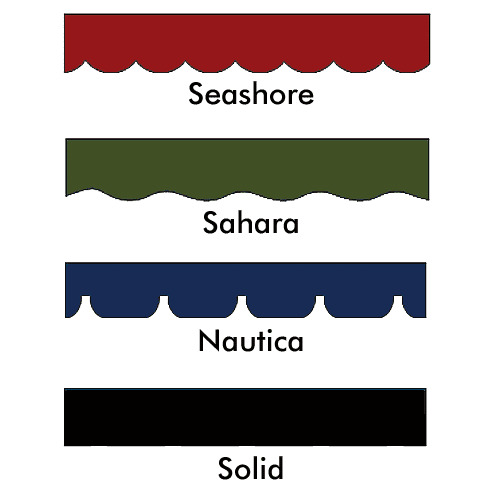 Both the 16 and 18 ft awnings will have a projection of just over 10 ft.
Are all the fabrics water and fade resistant? What is difference between the manual models? Does this product resist the winds (closed) of a hurricane? The only differences between the models are the design and look. If the awning is closed, it should be fine to withstand winds. Also, the fabric is water-resistant, not waterproof.